Here are all the series, movies, kids’ shows, sport and documentaries that are coming to Showmax in September. There’s something for everyone, so check out the full list below and start binge-watching now. What happens in Vegas stays in Vegas. But what about all the crazy stuff that happens on the flights in and out of Sin City? 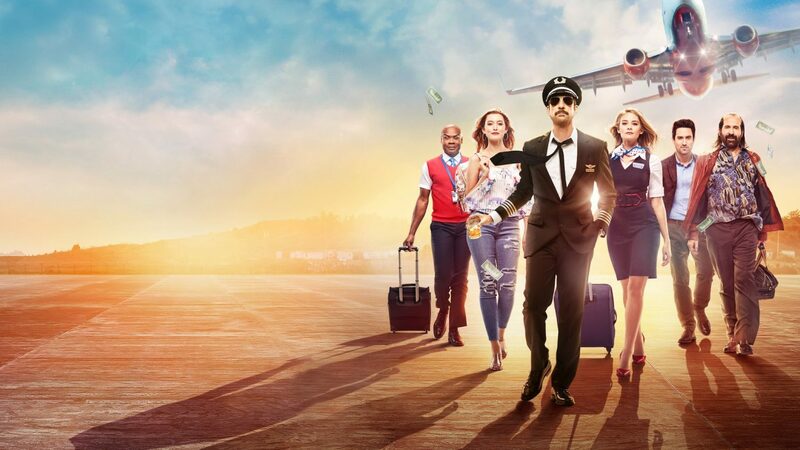 Ronnie is the long-suffering flight attendant who faces it all in this hilarious new comedy series. Buddy is a loser trying to escape a gambling debt. When a pastor accidentally dies while stopping Buddy’s suicide attempt, Buddy takes on the new identity! But he’s hardly pious material, leading to some hilarious consequences! Things are complicated for siblings Valerie and Alex, but their love and professional lives are still in the pits. Still, now living in separate places, both have big plans for the future. But can they follow through? They are four women with very different lives. Some want to start families and others are trying to rebuild theirs. But through thick and thin, they are there for each other in this captivating drama series. 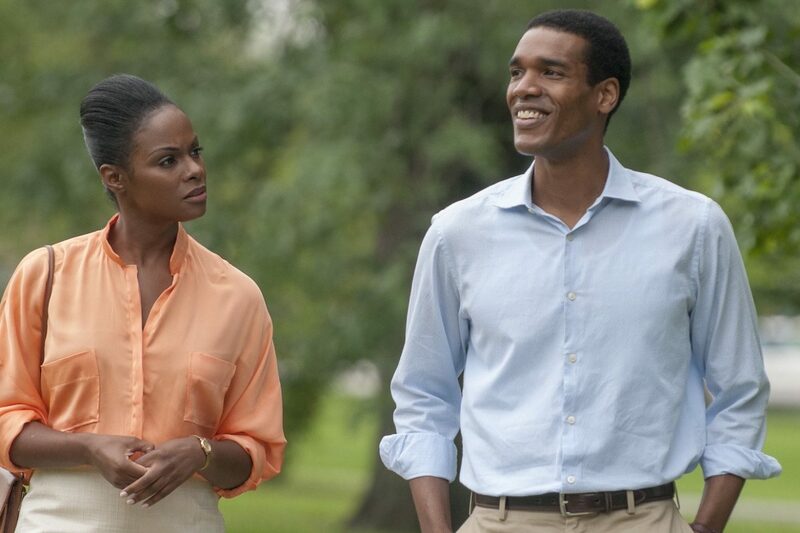 Before he became the first black President of the US and she his wife, Barack and Michelle went on a first date that would change their destinies. It’s non-stop action in this epic adventure, where US and Japanese navies have to join forces and take on a dangerous alien menace that trapped their ships. Paige is very focused on her medical career. But things get complicated when she discovers her boyfriend will one day be the king of Denmark in this thrilling romcom. Orphan Molly Moon has a unique gift for hypnosis and a special book that helps her. When a crook tries to steal it, she must show him who’s boss. The Nazis are occupying France. But an elite squad of soldiers, led by Brad Pitt, set out to take their revenge in this brilliant move from master director Quentin Tarantino. Jim and Michelle are getting married! That means getting the old gang together – even the party-mad Stifler. Will their wedding survive in this conclusion of the American Pie series? After Peter is dumped by his actress girlfriend Sarah, he goes to Hawaii to recover. But when he gets there, she’s there too, along with her rock star boyfriend in this hilarious comedy. He’s the bad boy dance instructor. She’s the innocent teenager aching to rebel. Together they will set the dance floor on fire in this amazing remake of the classic. So close to realising his ambitions, David meets the woman of his dreams. But mysterious agents keep appearing to stop them from getting together. Don’t miss this edgy sci-fi thriller! Shimmer and Shine are genies-in-training. That means their wishes don’t always work out as planned, but luckily there are friends to help clean up the mess. The charmers all have special powers, even if they don’t quite know how to use them in this fun adventure series for all ages. The unique animals from the Zafari zoo are back for all new adventures. From learning about balance to mastering patience, we are all in for a treat. Miss Duck has left with special golden boots, so Peppa and her friends set out to find them. They’ll cross lands, the sea and even go to space! Catch all the highlights from the test series between South Africa and Sri Lanka, right here on Showmax. Cricket is full of great achievements and incredible pressure. What are some of the accomplishments that sports stars set their sights on? A must-see for fans of the game. In a town where racial segregation still lives in the hearts of its residents, a shocking murder forces everyone to consider where they stand in this divisive debate. What is it that make comic books great? This documentary delves behind the pictures and words to show a whole new side to this art form. Weed-loving comedian Doug Benson is back, this time heading to San Diego’s famous comic convention to spread a little chaos in this hilarious documentary. Art doesn’t always make sense, but this brilliant look at the contemporary art world may just get you thinking differently about why we like what we like. In a country rich with golfing talent, Charl Schwartzel is one of the best ever. Get to know the man behind the champion and what brought him his success. A team of swimmers from developing nations try to qualify for the Olympic Games. This stunning movie follows them as they push for glory against all odds. Enter the world of trees with Dame Judi Dench. Filmed over a year, this stunning experience tracks the giants of the plant world as they change over the seasons. They were once the boffins of the land, but now the only glory of this dysfunctional philosophy department is arguing with each other in this hilarious comedy series. Abraham is a struggling artist deep in rural South Africa during the 1980s. He dreams of success one day, but the odds are against him in this brooding and tragic drama. Tiaan loved surfing until his best friend died in an accident. Swearing he’ll never surf again, he may have no choice when his sister joins the surfers of Vlakberg. When a prison guard kills a group of men, only one lawyer stands against a system that should be blamed for his crime in this heart-stopping courtroom drama. Do you have a secret weighing you down? Khanyi Mbau heads out in this groundbreaking new reality show, where people get to let go of their deepest regrets. Don’t miss this drama, where a prison warder discovers the truth of his father’s disappearance. Will he choose forgiveness or live with the regret of never accepting what happened? Return to the rundown hotel that hardly has a star on Tripadvisor in this hilarious mockumentary series. Can it survive the bickering of its managers and demands of the guests? Denise Zimba and VJ Ehizojia “Ehiz” Okoeguale get together on the couch to laugh and comment on a variety of themed video clips, presented by Thomas Gumede. Don’t miss it. Tom’s unexpected trip into the Karoo continues to bring surprises to his life in this beautiful and riveting drama series. Tol A$$ Mo is back with more pranks and more laughs in this brand new season. Watch as he snares citizens and celebrities in hilarious jokes. What does it take to have the perfect wedding? Each week a couple tackles this with their list of must-haves… let’s see if they make it. To some it is the status quo, but to others patriarchy is a cancer holding back the nation. Join Lebogang Rasethaba as he delves into this provocative topic. Children of all ages can learn how to cook in this brilliant new series. Join Mari-Louis Guy and master chef Nic van Wyk as they show the delicious treats for all. Pearl Thusi sits down with DJ Sbu, raconteur and musical genius, as he goes into the details of recent scandals in his life. Nonhle Thema’s infamous Twitter meltdown had South Africa talking, so Pearl Thusi chats to her and gets behind the story. She has been racked by scandal and accusations of infidelity. Now Mshoza sets the record straight in this interview with Pearl Thusi. One of South Africa’s most beloved radio and TV presenters, Dineo Ranaka is no stranger to scandal. Pearl Thusi sits down with her to unpack the real story.